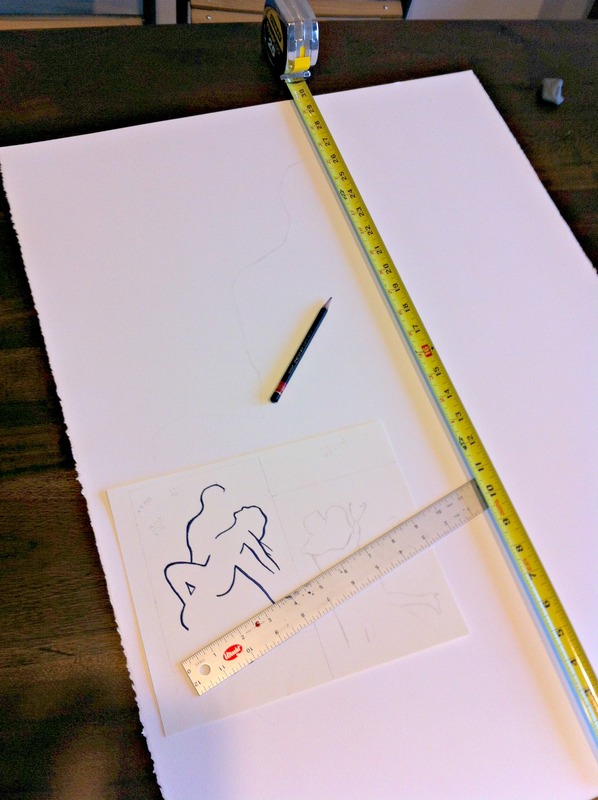 This week I’m starting on final drawings for an art collector in the United Arab Emirates. These will be three figurative, abstract, romance-themed drawings on luxurious, antique white, 100% cotton, acid-free papers. The drawings will be completed in black, navy blue and red inks. While starting the initial layout, I had on some smooth jazz on my Pandora. Got to set the mood right for the type of artwork I’m doing!